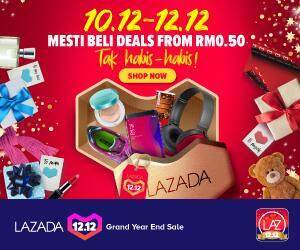 Home Entertainment, Tourism & Lifestyle Atelier showing Lions XII vs Sarawak live tonight! Atelier showing Lions XII vs Sarawak live tonight! The game between Lions XII and Sarawak at Stadium Jalan Besar Singapore will be shown live at Atelier Bistro and Bar today. The game is expected to kick off at 7:45PM, and ASTRO ARENA has released on it’s scheduled that the game will be televised starting at 7.30PM. Entrance into Atelier is free and the the bar would be offering Happy Hour rates all night for those coming. 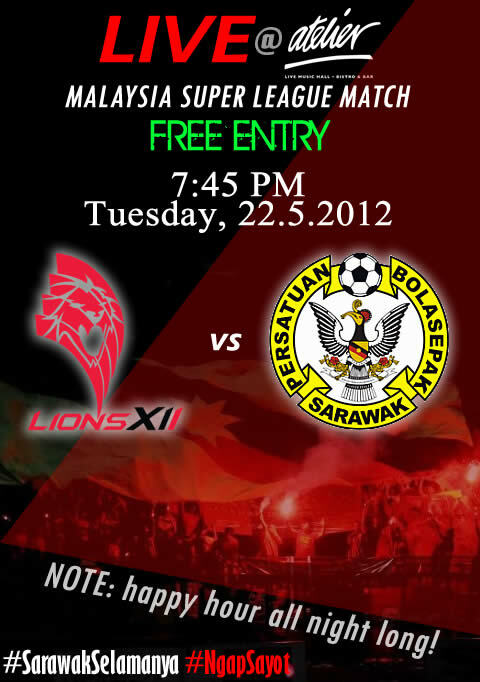 You are highly encouraged to bring your Sarawak flag or wear your Sarawak jersey (or red/blue shall you not have one). This is the second time Atelier host a live game of Sarawak, with the first being the one against Terengganu. For details, visit the event page here.